Dr. Roger C. Byrd is a Board Certified Dermatologist who has been practicing in the Rochester area for the past 30 years. He is always in the forefront of the latest research and technologies in cosmetic dermatology. Healthy skin has always been a primary focus for him and his patients. 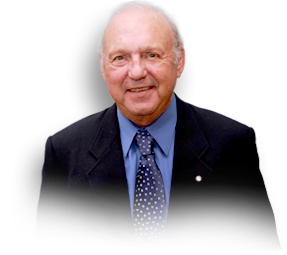 Dr.Roger C. Byrd, is Certified by the American Osteopathic Board of Dermatology. He is a member of the American Academy of Dermatology, the American Osteopathic Association, the American Osteopathic College of Dermatology, the Michigan Association of Osteopathic Physicians and Surgeons, the Michigan Dermatologic Society, the Dermatology Foundation and the International Society of Dermatologic Surgery. He is past president of the American Osteopathic College of Dermatology and a member of the Rochester Rotary Club. Dr. Roger C. Byrd is on staff at William Beaumont Hospital and the Crittenton Hospital Medical Center. 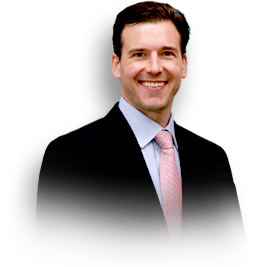 Dr. David Byrd is a Board Certified Dermatologist with fellowship training in Mohs Micrographic Dermatologic Surgery, Laser Surgery and Cosmetic Dermatology. He has extensive experience and expertise with Botox and injectable fillers. He was chosen to introduce hyaluronic fillers into this country and teach other physicians on its proper use. He is the author of multiple medical publications and is a National/ International lecturer. Dr. David Byrd limits his cosmetic practice to only those cosmetic procedures and products with proven reproducible results. He is Clinical Instructor for resident doctors from five medical teaching institutions and Associate Clinical Professor of Dermatology at Wayne State University. Dr. David Byrd is board certified by the American College of Mohs Micrographic Surgery and Cutaneous Oncology, the American Society of Dermatologic Surgery, the American Academy of Dermatology, the American Academy of Cosmetic Surgery, the American Society of Cosmetic Dermatology and Aesthetic Surgery, the Skin Cancer Foundation, the Dermatology Foundation, the Michigan Dermatology Foundation, the Michigan Dermatologic Society, the Michigan State Medical Society, and the American Medical Association. Dr. David Byrd completed his residency and fellowship at the Mayo Clinic in Rochester, Minnesota. He is on staff at William Beaumont Hospital and Crittenton Medical Center. Dr. Julie A. Byrd is a Board Certified Dermatologist specializing in general dermatology, cosmetic and laser procedures. Graduating with honors from both the University of Notre Dame and Wayne State University School of Medicine, Dr. Julie A. Byrd completed her internship and residency at the Mayo Clinic in Rochester, Minnesota. She has multiple publications and has lectured nationally as well as internationally. 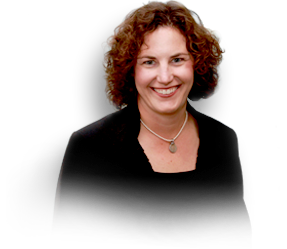 Dr. Julie A. Byrd is Board Certified by the American Board of Dermatology. She is an active member of American Academy of Dermatology, American Society of Dermatologic Surgery, American Society of Cosmetic Dermatology and Aesthetic Surgery, Michigan State Medical Society, Michigan Dermatology Society, American Society of Dermatologic Surgery, Women’s Dermatologic Society and American Medical Association. Dr. Julie A. Byrd is on staff at William Beaumont Hospital and the Crittenton Hospital Medical Center. © Skinovations Skin Care and Laser Center. All Rights Reserved.